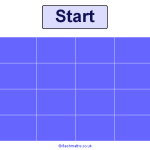 Practise converting between fractions, decimals and percentages with this starter ideal for mini whiteboards. 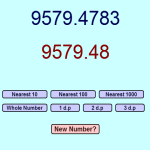 Click the tiles to show or hide the values. 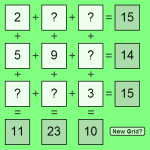 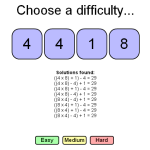 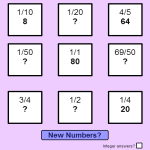 Select the 'mixed numbers' option for a greater challenge.